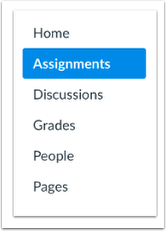 In the course navigation, click Assignments. Click the settings icon, and choose Assignments Groups Weight. 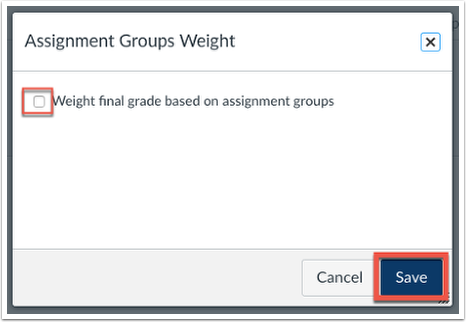 A pop up will appear, click the Weight final grade based on assignment groups checkbox, and click save. Prev: How do I create Assignments? Next: How do I Grade Assignments?